Tickets to the Aztecs Basketball game for this season is sold out. We have the best record we've ever had. I am so proud. Even though we lost to BYU yesterday the stat of 20-1 is still fantastic. Way to go Aztecs! Yesterday in PB, OB and all over San Diego, every one has been cheering for the Aztecs. I've been getting a lot of people looking for bars to watch the games in PB. Good point. There are still rooms left nearby the Cowboys Stadium. Super Bowl this year is at the new Cowboys Stadium in Arlington, Texas. Click here to find a room nearby. Reserve now before they are sold out. 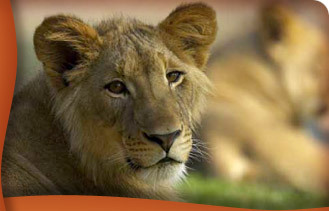 Visit the newly named Safari Park (formerly Wild Animal Park by the San Diego Zoo). Book a package with tickets to Safari Park and a San Diego hotel. Save time. The number of tickets available is running low for our Basketball Pre-Game Party before the Aztec v. UNLV Men's Basketball game on January 12, 2011.Reception includes basketball hoop contest, heavy finger foods, $5 beer and $5 wine. Registration will close at noon on Monday, January 10th. Register now at sdsualumni.org/pregameparty or call Robyn Guzman at (619)594-3353.